When you buy shutters from Shutterplus, you can rest assured that your new custom-made shutters represent outstanding quality and value for money. Introducing our brand new POLYWOOD shutter range combining a Polyvinyl Waterproof Frame with Premium Hardwood Panels. Maximum protection for your frame against any possible window condensation or water ingress around your sill. 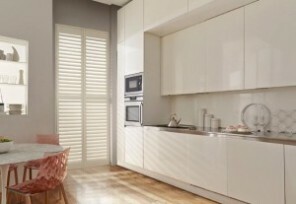 Our mdf range of shutters combine a tough, durable finish with excellent value for money. A solid, engineered wood core is enclosed in a patented polypropylene coating that resists yellowing, denting, chipping and cracking. 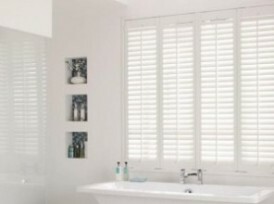 Our most popular range of shutters due to their outstanding quality and affordability. Premium quality hardwood panels and surround frames allows you to transform your home at an affordable price. A unique waterproof shutter that is extremely hard-wearing and suitable for environments prone to steam or moisture. Excellent insulation properties resulting in lower heating costs during winter months.